The majority of the ‘evidence’ are screenshots taken from these videos. The original videos were usually taken using fisheye lenses. In these videos, there are moments where the horizon appears flat, convex and concave. Their M.O. 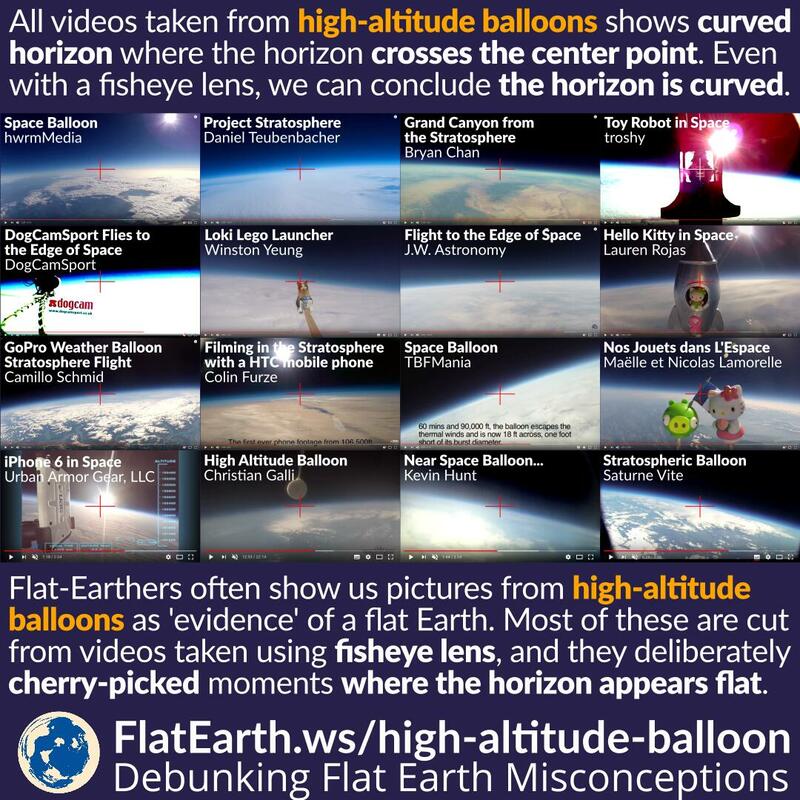 is to cherry-pick moments where the horizon appears flat and present them as the ‘evidence’ of the flat Earth, ignoring the fact it appears concave and convex in many other moments in the video. 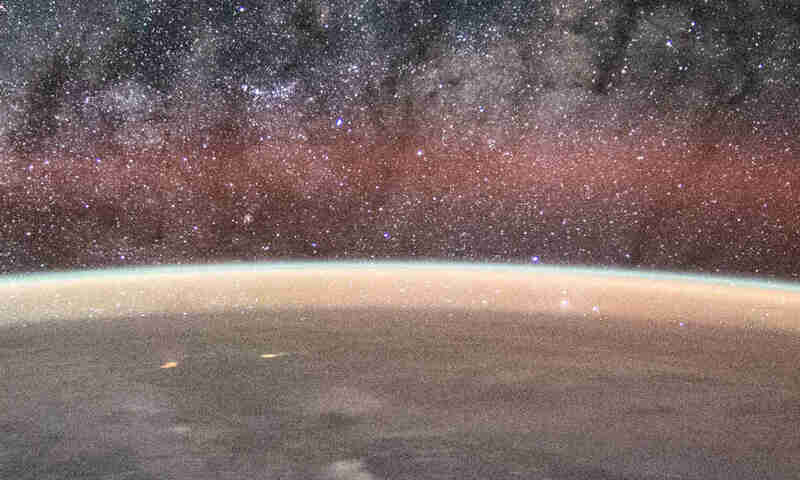 To analyze the videos, we try to find a moment where the horizon crosses the center point of the image. In this case, if the horizon is flat, it should appear flat. And conversely, if the horizon is curved, then should appear curved. This method works even if a fisheye was used to take the video. A straight line will always appear straight when it crosses the center, regardless of the lens being used. We analyzed over two dozens of high-altitude balloon footages on YouTube, and the curvature is there every single time. These videos are definitely not proof of a flat Earth. On the contrary, they are evidence that the Earth is spherical. These are links to the videos used in the illustration.